Puberty is an exciting and confusing time. One day you were a happy-go-lucky kid, and the next--wham! Your emotions are out of control, hair is growing where it never dared grow before, and your best friend whispers to you in gym class that you need to start wearing some kind of torture contraption she calls a bra. What is going on? 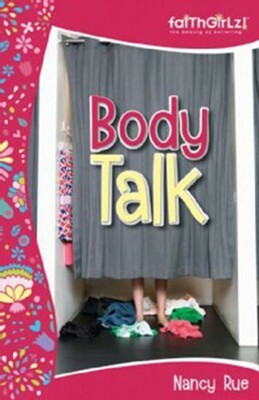 Body Talk gives you the lowdown on all the really weird body stuff--and shows you how all this weird stuff is actually a part of God's plan for the beautiful, confident, grown-up you! Topics include diet, exercise, menstruation, hygiene, boys, alcohol, drugs, and more. You'll also find fun quizzes and other activities. Recommended for ages 8 to 12. Knowledge is power, girlfriend. One day you were a happy-go-lucky kid, and the nextwham! Your emotions are out of control, hair is growing where it never dared grow before, and your best friend whispers to you in gym class that you need to start wearing some kind of torture contraption she calls a bra. What is going on? Body Talk gives you the lowdown on all the really weird body stuffand shows you how all this weird stuff is actually a part of Gods plan for the beautiful, confident, grown-up you! I'm the author/artist and I want to review Body Talk - eBook.